Grands travaux is set in the Institute Anneessens-Funck, a Dutch-speaking vocational school in the centre of Brussels where young students have come to learn a trade. 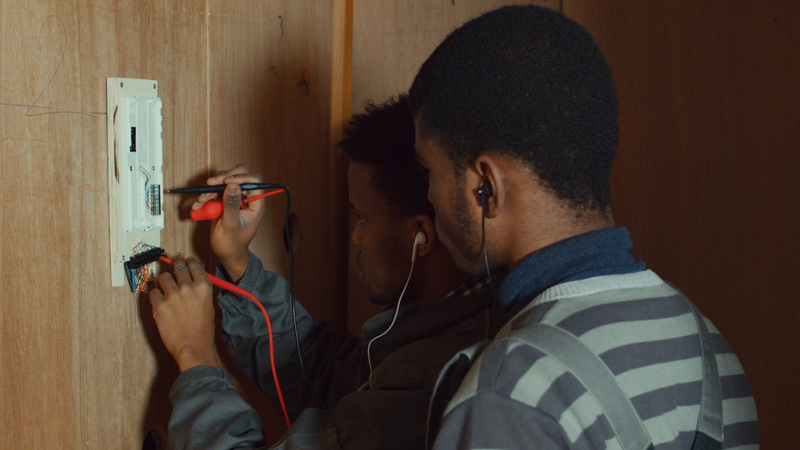 The film both documents and stages that which gives shape to their lives: the practical assignments and classes at school, football, the oscillation of their love lives, as well as the ongoing search for housing and employment. Depicting daily life within the school walls, Grands travaux also aims to sketch an image of Brussels today, placing its youngsters at the very centre.